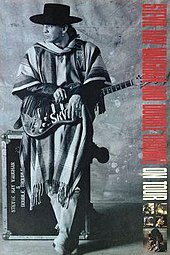 The In Step Tour was a concert tour through the United States and Canada, undertaken by American blues rock band Stevie Ray Vaughan and Double Trouble from 1989 to 1990. Launched in support of their fourth and final studio album In Step, the tour was the third of which to include keyboardist Reese Wynans, who joined the band in 1985. Vaughan and Double Trouble achieved international fame when their debut album, Texas Flood, was released in June 1983. Throughout their subsequent concert tours, the group's success was confirmed as their performances consistently amazed and gratified their audiences. Like all of their previous tours, the In Step Tour was a basic, minimalistic production. The stage featured a simple light show that changed according to the mood of certain songs performed. Although Vaughan and Double Trouble never followed a set list, all ten songs from In Step were played at least once during the tour, and as many as seven of them were included in each of the band's performances. Consisting of six legs and 136 shows, the In Step Tour began on May 4, 1989 in Vancouver and ended on August 26, 1990 in East Troy, Wisconsin. After the first two legs, Vaughan and Double Trouble co-headlined with Jeff Beck and Joe Cocker during the third and fifth legs, which were branded as "The Fire Meets the Fury" and "Power and Passion", respectively. The group had planned to embark on a European leg in September 1990, but it was canceled after Vaughan died in a helicopter crash following the East Troy concert on August 27, 1990, during a return flight to Chicago. Although the tour elicited a variety of reactions from music critics, it was generally well-received and garnered mostly favorable reviews. Along with being one of the highest-grossing concert tours of 1989, the "Fire Meets the Fury" leg was awarded for being the most creative tour package of the year by Pollstar magazine. Stevie Ray Vaughan and Double Trouble gained international fame after the release of their debut studio album Texas Flood in June 1983. Their second studio album, Couldn't Stand the Weather, and the supporting tour brought them to further commercial and critical success during the following year. After the addition of keyboardist Reese Wynans in 1985, the band released Soul to Soul and toured in support of the album, which was their first as a quartet. In Europe, the schedule of performances were canceled after Vaughan suffered from a substance abuse related illness, due to a long-term drug and alcohol addiction. He checked into a rehabilitation facility in Atlanta, where he stayed for four weeks and achieved sobriety; bassist Tommy Shannon checked into rehab in Austin. Following their departure from rehab, Vaughan and Shannon reconvened with Double Trouble to begin the Live Alive Tour in November 1986, which supported the album that was released on November 17. Although Vaughan was nervous about performing while being sober, he received positive reassurance. Wynans recalled: "[He] had a little bit of self doubt. We rehearsed and were very encouraging to him." As the tour progressed, Vaughan was longing to work on material for the group's next LP, but in January 1987, he filed for a divorce from his wife Lenny, which restricted him of writing songs and recording an album for almost two years. After the proceedings were finalized in 1988, the band started recording their fourth and final studio album, In Step, at Kiva Studios in Memphis, where they worked with producer Jim Gaines. Vaughan initially had doubts about his musical and creative abilities, but he gained more confidence as the sessions progressed. Shannon later recalled: "From my eyes, he went in scared to death ... In Step was, for him, a big growing experience." On January 21, 1989, the band took a break from recording and performed at a presidential inaugural celebration for George H. W. Bush in Washington, D.C. When the sessions concluded, they participated in a concert organized by the Greenpeace organization, which took place on April 8, 1989 at the Mount Smart Supertop in Auckland, New Zealand. A rehearsal for the In Step Tour took place on May 3, 1989 at York Theatre in Vancouver, before the opening show at the city's Orpheum Theatre on the following night. Lighting designer Trey Hensley explained that Vaughan decided against lengthy rehearsals: "The band played all the time and didn't need rehearsal, and he didn't believe in spending money to rehearse." Like many of the group's preceding tours, which began ahead of the release of a new album, the tour started a month before In Step was released, giving fans a preview of new songs from the album. The first leg of the tour alternated between both indoor and outdoor venues, with 15 concerts that were mostly indoor arena and theatre shows in May. After the release of In Step on June 13, the band performed 25 concerts throughout the United States and Canada from June to September. Two co-headlining legs in North America were subsequently planned—"Fire Meets the Fury" with Jeff Beck from October to December 1989, and "Power and Passion" with Joe Cocker from June to July 1990. Rehearsals for "Fire Meets the Fury" began at Paisley Park Studios in Minneapolis on October 23 and 24, before the official leg-opening Northrup Auditorium show on October 25. Both Vaughan and Beck were advertised as headliners and received equal billing for the tour. Vaughan's manager Alex Hodges commented: "We were very careful to have equal billing and everything done in a way that it would be hard to say anyone was taking advantage of the other." During an extended break between the third and fourth legs of the tour, Vaughan recorded Family Style with his brother Jimmie Vaughan in March 1990. They worked with producer Nile Rodgers at Ardent Studios in Memphis, and it would be their first and only collaboration. The album was ultimately released in September 1990, a month after Vaughan's death. With the success of "Fire Meets the Fury", Hodges made arrangements for the "Power and Passion" leg with Cocker: "We weren't trying to repeat the magic of the tour with Beck, but we thought it was a way to have a strong summer tour and give the fans something different." Following the conclusion of "Power and Passion", Vaughan took a short break from touring with Double Trouble. In August 1990, he traveled to Hawaii, Australia and New Zealand, where he spent time vacationing with girlfriend Janna Lapidus. She later recalled the trip: "It was all one big barrel of laughs! We were goofballs." Shortly after they had returned to their Manhattan apartment in New York City, Vaughan left for Kalamazoo, Michigan on August 24, where he reconvened with the band to perform at the county fair. They then moved on to East Troy, Wisconsin, where they were booked for two nights as the opening act for Eric Clapton at Alpine Valley Music Theatre. Both shows, on August 25 and 26, were sold out with an audience of 40,000 each. The second show concluded with an encore jam session featuring Vaughan, Clapton, Robert Cray, Buddy Guy and Vaughan's brother Jimmie Vaughan. In 1993, Clapton recalled Vaughan's performance: "[It was] beyond anything that I could even describe ... there was nothing missing. There was no room for improvement." After the show, Vaughan talked with Layton backstage, where he expressed his gratification of the band's performances and optimism for the future of their career. Layton recalled the conversation: "He was in great spirits ... We talked for, I guess, almost thirty minutes." In the early morning of August 27, 1990, Vaughan and three members of Clapton's touring entourage boarded a Bell 206B, which was the third in a series of four helicopters to travel to Chicago's Midway Airport. The pilot, who was unqualified to operate a helicopter in foggy weather conditions, failed to gain enough altitude to fly the aircraft over a nearby ski hill, where it crashed shortly after takeoff. Vaughan and the four others on board were all killed instantly. The band had originally planned to visit England, France and Switzerland in September after being absent from the European touring circuit for over two years, but the rest of the tour was canceled. Vaughan was buried in his hometown of Dallas, Texas on August 31, 1990. ^ Aledort, Andy (August 2000). "Stevie Ray Vaughan: The Lost Interviews". Guitar World. Vol. 20 no. 8. Future US. p. 158. ^ "Stevie Ray Vaughan Original "In Step" Tour Itineraries (third and fourth thumbnails)". Backstage Auctions. 2016. Retrieved August 3, 2016. ^ Goldstein, Mike (August 31, 2007). "Stevie Ray Vaughan - "Real Deal: Greatest Hits, Vol. 1", cover by Robert M. Knight". Rock Pop Gallery. ...pre-production at Prince’s Paisley Park in Minneapolis... ; "Stevie Ray Vaughan Original "In Step" Tour Itineraries (sixth thumbnail)". Backstage Auctions. 2016. : Fire Meets the Fury rehearsal dates. ^ "AB Boxscore: Top Concert Grosses" (PDF). Billboard. Vol. 102 no. 36. Nielsen Business Media, Inc. September 8, 1990. p. 31. ISSN 0006-2510. ^ In the Studio with Redbeard (Radio broadcast). Dallas: BeardedFISCH LLC. June 28, 1993. Event occurs at 21:00. ^ In the Studio with Redbeard (Radio broadcast). Dallas: BeardedFISCH LLC. June 28, 1993. Event occurs at 24:44. Student Union & Activities Annual Report 1989-1990 (Report). Boise State University. 1989. p. 44. "AB Boxscore: Top Concert Grosses" (PDF). Billboard. Vol. 101 no. 25. Nielsen Business Media, Inc. June 24, 1989. p. 34. ISSN 0006-2510. May 6, 1989: "Photos — Roy Rogers, slide guitarist". Roy-Rogers.com. 2016. May 8, 1989: "Stevie Ray Vaughan Original "In Step" Tour Itinerary (second thumbnail)". WorthPoint Corporation. 2016. May 9, 1989: "Guitarist scheduled". Great Falls Tribune. May 7, 1989. p. 4F. May 12, 1989: Daniels, Wade (May 18, 1989). "Stevie Ray Vaughn: Feel Good Concert". The Daily Nexus: Arts and Entertainment. 69 (135). UC Santa Barbara. p. 5. May 22, 1989: Bammer, Richard (May 24, 1989). "Stevie Ray delivers to SRO crowd". Petaluma Argus-Courier. p. 13A. May 26, 1989: "On the Town". Statesman Journal. Salem, OR. May 26, 1989. p. 4B. May 27, 1989: "Champs de Brionne Theatre newspaper advertisement". The Quincy Valley Post-Register. 42 (43). Quincy, WA. May 11, 1989. p. 5. May 29, 1989: Zimmerman, Lauren (May 23, 2014). "This Look at 1989 Balloonfest is Cool, But Flights to Vegas For $38?!?". KLAQ.com. July 22, 1989: "Summer leads carload show". Kokomo Tribune. 139 (352). August 22, 1989. p. 8. ; Aldrich, Michael (May 13, 1989). "Deer Creek's amphitheater stacks up well against others". Daily Journal. 26 (247). Franklin, IN. p. 13. August 29, 1989: Skinner, M. Scot (August 30, 1989). "Vaughan's guitar work electrifies crowd". Arizona Daily Star. 148 (242). Tucson, AZ. p. B7. ; "Starlist—Concerts". Arizona Daily Star. 148 (237). Tucson, AZ. August 25, 1989. p. F4. September 2–3, 1989: "AB Boxscore: Top Concert Grosses" (PDF). Billboard. Vol. 101 no. 39. September 30, 1989. p. 34. ISSN 0006-2510. June 14, 1989: "Stevie Ray Vaughan Original "In Step" Tour Itinerary (fourth thumbnail)". eBay. 2016. June 16, 1989: Potter, Mitch (June 18, 1989). "Stevie Ray axes the antics". The Toronto Star. p. C2. June 17, 1989: Repentigny, Alain de (June 16, 1989). "Un des maîtres du blues-rock" [One of the masters of blues-rock] (PDF). La Presse (in French). Montreal. p. C1. June 20, 1989: "Saratoga Performing Arts Center newspaper advertisement". The Schenectady Gazette. 95 (225). June 20, 1989. p. 11. June 21, 24, 1989: "Touring 1989". Personal Site of James Bogard. 2014. June 25, 1989: Landsdowne, Peter (June 26, 1989). "Jazz festival smokes to the finish". Worcester Telegram & Gazette. p. D4. June 27, 1989: "Club 'n' Concerts". Poughkeepsie Journal. June 23, 1989. p. 11D. June 29, 1989: Mervis, Scott (June 30, 1989). "Vaughan's guitar may be the best". Pittsburgh Post-Gazette. 62 (287). p. 16. July 12, 1989: "Stevie Ray Vaughan and band stir up a hot blues blend". Democrat and Chronicle. Rochester, NY. July 12, 1989. p. 15. July 14, 1989: Niesel, Jeff (July 2, 1989). "Soundbites: Joseph Arthur". Cleveland Scene. p. A8. July 21, 1989: Ford, Tom (July 22, 1989). "Stevie Ray Vaughan plays the blues with depth, fire". The Toledo Blade. p. P2. July 22, 1989: Warren, Jill (July 22, 1989). "Clean, sober, Stevie Ray Vaughan now more 'In Step' with his music". The Indianapolis Star. p. B5. July 23, 1989: Warren, Jill (July 21, 1989). "This Weekend". The Cincinnati Enquirer. p. B4. July 25, 1989: "Stray Cats – Tour Archive 1989". Stray Cats Collectors. 2016. July 29, 1989: Heim, Chris (July 28, 1989). "Album Gives New Energy To Vaughan And Double Trouble". Chicago Tribune. July 30, 1989: Mason, Rick (July 27, 1989). "Top of the week: our critics' choices for the best of Riverfest". St. Paul Pioneer Press. p. 12F. August 13, 1989: Perry, David (August 14, 1989). "In rain, Stevie Ray Vaughan proves he's the reigning blues-rock king". The Sun. 111 (190). Lowell, MA. p. 12. ; Lipner, Ariel (August 14, 1989). "Vaughan a guitar wizard". Worcester Telegram & Gazette. p. D3. August 19, 1989: "Who's Coming". Milwaukee Journal. August 4, 1989. p. 7D. August 29, 1989: Skinner, M. Scot (August 30, 1989). "Vaughan's guitar work electrifies crowd". Arizona Daily Star. 148 (242). Tucson, AZ. p. B7. 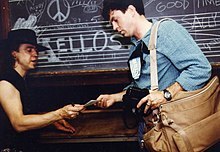 September 2–3, 1989: "Joe Ely — Dates 1980-1989". Joe Ely Official Website. 2016. "AB Boxscore: Top Concert Grosses" (PDF). Billboard. Vol. 101 no. 45. Nielsen Business Media, Inc. November 11, 1989. p. 36. ISSN 0006-2510. "AB Boxscore: Top Concert Grosses" (PDF). Billboard. Vol. 101 no. 46. Nielsen Business Media, Inc. November 18, 1989. p. 37. ISSN 0006-2510. "AB Boxscore: Top Concert Grosses" (PDF). Billboard. Vol. 101 no. 47. Nielsen Business Media, Inc. November 25, 1989. p. 35. ISSN 0006-2510. "AB Boxscore: Top Concert Grosses" (PDF). Billboard. Vol. 101 no. 48. Nielsen Business Media, Inc. December 2, 1989. p. 36. ISSN 0006-2510. "AB Boxscore: Top Concert Grosses" (PDF). Billboard. Vol. 101 no. 50. Nielsen Business Media, Inc. December 16, 1989. p. 30. ISSN 0006-2510. "AB Boxscore: Top Concert Grosses" (PDF). Billboard. Vol. 101 no. 51. Nielsen Business Media, Inc. December 23, 1989. p. 44. ISSN 0006-2510. "AB Boxscore: Top Concert Grosses" (PDF). Billboard. Vol. 102 no. 1. Nielsen Business Media, Inc. January 6, 1990. p. 38. ISSN 0006-2510. "AB Boxscore: Top Concert Grosses" (PDF). Billboard. Vol. 102 no. 4. Nielsen Business Media, Inc. January 27, 1990. p. 40. ISSN 0006-2510. October 29, 1989: Surkamp, David (October 31, 1989). "Guitars Make Sparks Fly". St. Louis Post-Dispatch. 111 (304). p. 5D. November 2, 1989: Thompson, Bob (November 3, 1989). "Gutsy guitars". The Toronto Sun. p. 96. November 4, 1989: Mervis, Scott (November 6, 1989). "A selection of music for every taste: Vaughan/Beck". Pittsburgh Post-Gazette. 63 (84). p. 9. November 7, 1989: Gladstone, Jim (November 9, 1989). "Beck-Vaughan jam session called on account of flu". The Philadelphia Inquirer. 320 (313). p. 11E. November 14, 1989: Baranick, Alana (November 15, 1989). "Guitar legends let their fingers do the talking: Jeff Beck, Stevie Ray Vaughan amaze Public Hall audience". Chronicle-Telegram. 160 (319). Elyria, OH. p. D7. November 16, 1989: Clark, Mark (November 18, 1989). "Music Review—Jeff Beck and Stevie Ray Vaughan". The Courier-Journal. Louisville, KY. p. F3. November 28, 1989: Tessier, Denise (November 30, 1989). "Guitars Splendid When Beck, Vaughan Took Stage". Albuquerque Journal. 109 (334). p. B12. Keyes, Bob (April 23, 1990). "Vaughan dazzles at Arena". Argus Leader. Sioux Falls, SD. p. 5A. ; "Blues concert". Argus Leader. Sioux Falls, SD. April 20, 1990. p. 2B. Anders, Keli (April 23, 1990). "Hard-driving Vaughan "In Step" with thirty-something crowd". Omaha World-Herald. p. 31. April 13–14, 1989: Jarvinen, Brian (April 13, 1990). "Hey Stevie, where're you going with that guitar in your hand?". The Michigan Daily. 100 (130). Ann Arbor, MI. April 17, 1990: Kot, Greg (April 16, 1990). "A Singular Success—Ernie Isley Reclaims His Status As A Guitar Great". Chicago Tribune. April 18, 20 and May 3, 1990: Cruse, Steve (April 17, 1990). "Isley opens for Stevie Ray Vaughan" (PDF). The Daily Iowan. 122 (186). Iowa City, IA. p. 8B. April 22, 1990: Anders, Keli (April 23, 1990). "Hard-driving Vaughan "In Step" with thirty-something crowd". Omaha World-Herald. p. 31. April 29, 1990: Milam, Cathy (April 27, 1990). "Guitar-slinger stays sober, grows up". Tulsa World. May 2, 1990: Goff, Kevan (May 6, 1990). "Stevie Ray Vaughan rocks the Civic Center with force". The Sunday Oklahoman. 99 (121). Oklahoma City. p. 96. May 6, 1990: "1990 Jazz & Heritage Festival - Today's Schedule". The Times-Picayune. New Orleans. May 6, 1990. p. B1. "AB Boxscore: Top Concert Grosses" (PDF). Billboard. Vol. 102 no. 26. Nielsen Business Media, Inc. June 30, 1990. p. 43. ISSN 0006-2510. King, Peter B. (June 29, 1990). "Vaughan and Cocker stir up Star Lake". Pittsburgh Press. 107 (7). p. C5. Baldwin, Lonna (July 20, 1990). "It's a big weekend at George". Spokane Chronicle. 184 (216). p. 6. Adair, Sue (July 26, 1990). "Maximum ax: Stevie Ray Vaughan's guitar work the star at Sullivan show". Anchorage Daily News. p. G1. ; Perala, Andrew (July 20, 1990). "The fame game: Stevie Ray Vaughan coming out a winner". Anchorage Daily News. p. D10. June 9, 1990: Darling, Cary (June 10, 1990). "7-hour show ends blues marathon". The Orange County Register. Santa Ana, CA. p. B3. June 10, 1990: Hawkins, Robert J. (June 11, 1990). "Cocker takes crowd back to 1969". The San Diego Evening Tribune. p. C5. June 17, 1990: Brakefield, Jay (June 19, 1990). "Stevie Ray, B.B. blister the blues". The Dallas Morning News. p. 5C. June 20, 1990: Goldsmith, Thomas (June 21, 1990). "Cocker and Vaughan unleash their 'Power and Passion'". The Tennessean. 85 (149). Nashville. p. 3D. June 22, 1990: Baranick, Alana (June 24, 1990). "Vaughan, Cocker wow wet audience". Chronicle-Telegram. Elyria, OH. p. A7. June 27, 1990: Warren, Jill (June 28, 1990). "2 rockers stir small crowd". The Indianapolis Star. p. D6. June 28, 1990: King, Peter B. (June 29, 1990). "Vaughan and Cocker stir up Star Lake". Pittsburgh Press. 107 (7). p. C5. July 5, 1990: Thorpe, Wayne (August 2, 1990). "Vaughn, Cocker tear it up at Waterloo". Echoes-Sentinel. 35 (34). Warren, NJ. p. 10. July 11, 1990: Newton, Steve (2014). "My interview with Stevie Ray Vaughan the month before his death". Ear of Newt. July 20, 1990: Cowan, Ron (July 21, 1990). "Blues' bad boy, rock's grandfather belt 'em out in Salem". Statesman Journal. 139 (116). Salem, OR. p. B1. July 24, 1990: Adair, Sue (July 26, 1990). "Maximum ax: Stevie Ray Vaughan's guitar work the star at Sullivan show". Anchorage Daily News. p. G1. "AB Boxscore: Top Concert Grosses" (PDF). Billboard. Vol. 102 no. 36. Nielsen Business Media, Inc. September 8, 1990. p. 31. ISSN 0006-2510. Lustig, Mike (August 27, 2015). "Memories of Stevie Ray Vaughan's last show, 25 years ago". Institute for Nonprofit News. Adams, Deanna R. (2002). Rock 'n' Roll and the Cleveland Connection. Kent State University Press. ISBN 9780873386913. Hopkins, Craig (2011). Stevie Ray Vaughan – Day by Day, Night After Night: His Final Years, 1983–1990. Backbeat Books. ISBN 978-1-61774-022-0. Patoski, Joe Nick; Crawford, Bill (1993). Stevie Ray Vaughan: Caught in the Crossfire. Little, Brown and Company. ISBN 978-0-31616-069-8. Pride and Joy (DVD). New York: Epic / Legacy. 2007.